If you're a parent you'll always be concerned about where your kids are; whether they're in the house with you or out at school or with friends. 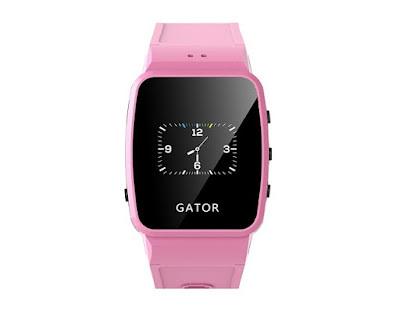 However, when they're out of your sight you can never really know where they are for certain, which is why the Gator Watch from TechSixtyFour is such as good idea. This is a GPS tracking device AND miniature mobile phone for kids. We check it out. From your kids' point of view, this is very much just a watch. It sits comfortably on their wrist and lets them tell the time on the small screen. However, while they are happily wearing it and going about their kid business, mum and dad can log onto the Gator's app (iOS and Android) and track their exact location. 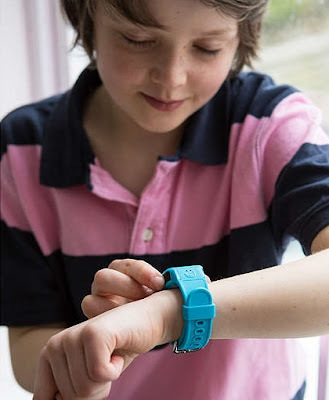 The Watch connects to GPS, any WiFi hotspots the child might wander through, and also local cell towers; all of which give very good positioning, opening upon a map in the app. But that isn't all. 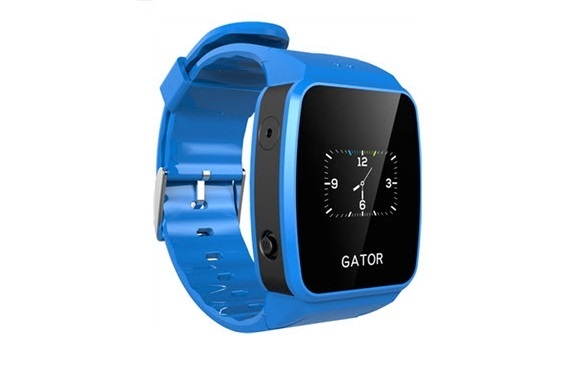 The TechSixtyFour Gator Watch is also a phone... of sorts. If you need to contact your child, either for a friendly "time for dinner, darling", or a more direct "don't play in the &%$£ing river! ", you can call the watch. The child can answer the call and both hear you and talk to you, just as if they were using an actual phone. However, unlike an actual phone, they won't be able to call whoever they like, or indeed rack up huge bills for paid content in games. You programme what numbers the watch can call in the app. So yes, this thing does come with a SIM card and you'll need to set up a paid-for service to activate it. However, the services TechSixtyFour offer through their site are pretty reasonable, starting at just £9 per month on a 12 month contract (or £11 on a rolling month by month). 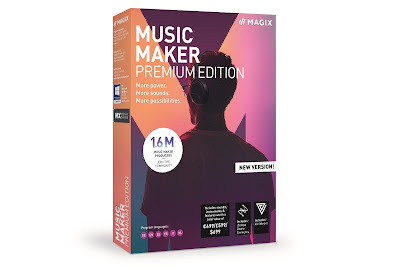 That's cheaper than the package you'd probably have to fork out for on an actual mobile phone for them, so it shouldn't deter you too much. Also, unlike a phone, this is very much about giving parents peace of mind when their children are away from them, so the cost shouldn't factor into it all that much. Unless you're a meanie. In use, the watch is easy to navigate and calls can be handled by a simple press of a button. There isn't much to do on the actual unit itself, so kids can't really 'play' with it, and we found that after the novelty of wearing a watch that mum and dad might randomly call them on wore off, it very much become just a watch for telling the time. It is splash proof, so even if the wee darlings get messy outside it should be able to survive. We didn't test it fully in water through, so we suggest you don't either. Crucially, the TechSixtyFour Gator Watch features an SOS button which , once pressed, will automatically call whatever numbers you have specified to be contacted. For the parent, this means you'll get a pretty quick notification saying that your child has hit hte button, and instant information on their current location. 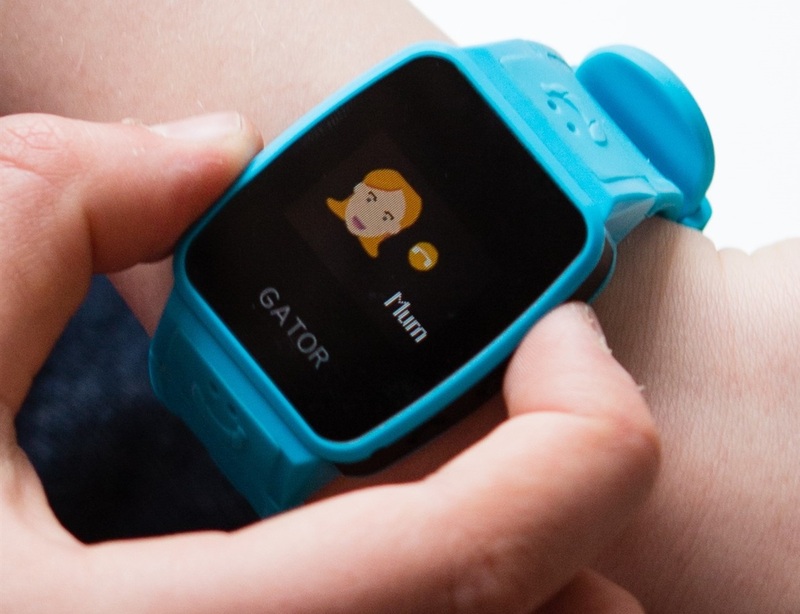 Although this feature is definitely great if children are ever somewhere dangerous, we thought it would be great for use by people with autism to send a message of distress to someone they trust. As that person would then get an instant map location, it could be great for people of all ages who need help. The TechSixtyFour Gator Watch is a splendid idea and it has been executed well. We love the app, which is easy and fast to use, while the kids loved the pretty novel talking watch. It certainly impressed their friends, anyway.